The following data are based exclusively on Ethnologue. Aragonese or High Aragonese (Aragonés, Altoaragonés, Fabla Aragonesa, Patués). Classification: Ibero-Romance Subgroup, North, Central. Dialects: Western Aragonese (Ansotano, Cheso), Central Aragonese (Belsetan, Chistabino, Tensino, Pandicuto, Bergotes), Eastern Aragonese (Benasques, Grausino, Ribagorzano, Fobano, Chistabino), Southern Aragonese (Ayerbense, Semontanes). There are local varieties. Different from the local variety of Spanish (also called 'Aragonese', which is influenced by High Aragonese). Eastern Aragonese is transitional to Catalan. Similarities to Catalan, Occitan, and Gascon. Number of Speakers & Area of distribution: 11,000 or more active speakers, including 500 elderly monolinguals. An additional 20,000 people use it as second language (1993 Counsel of the Aragonese Language). The majority speak Eastern Aragonese. 2,000,000 in the ethnic group. Zaragoza, Uesca Province. The northern limit is the Pyrenean border, separating Aragon from Occitania; the western limit is the border of Navarra; the eastern limit is north of Montso. Western Aragonese includes the towns of Anso, Echo, Chasa, Berdun, and Chaca; Central Aragonese the towns of Panticosa, Biescas, Torla, Broto, Bielsa, Yebra, and L'Ainsa; Eastern Aragonese the towns of Benas (Benasque, Benasc, Patues), Plan, Bisagorri, Campo, Perarruga, Graus, Estadilla; Southern Aragonese the towns of Aguero, Ayerbe, Rasal, Bolea, Lierta, Uesca, Almudebar, Nozito, Labata, Alguezra, Angues, Pertusa, Balbastro, Nabal. Present situation: There is an Aragonese Speakers' League (Ligallo de Fablans de l'Aragones) in Zaragoza (Saragossa), and a Council of the Aragonese Language (Consello d'a Fabla Aragonesa) in Uesca. There are 5 magazines in Aragonese, and at least 6 organizations of mother tongue speakers working in the language. The written language is based on Central and Eastern Aragonese. Speakers use Spanish (Castilian) in varying degrees, depending on their education; generally they use it well. Used with outsiders. Nearly 100% literate. Christian. Work in progress. Aranese (Aranés, Aranese, Aranais, Gascon, Aranese Occitan). Classification: dialect of Gascon. Subdialects: Baish Aranes, Mijaranes Aranes, Naut Aranes. Number of Speakers & Area of distribution: 3,814 speakers, plus 1,283 who understand it in Spain (1991 linguistic census) out of 5,922 in the valley (1991 census); 250,000 in all countries including Gascon in France. Speakers in Spain: 532 ages 2-14, 775 15-29, 733 30-44, 750 45-64, 609 over 65, 19 without age indicated. Aran Valley, headwaters of the Garona River in the northwest corner of the autonomous region of Catalonia, Pyrenees Mts. Present situation: Officially recognized with its own orthography in Spain. Taught regularly in school since 1984. The Aranese magazine 'Toti' is published monthly. The Center of Linguistic Normalization is dedicated to the promotion of its use. Some regional variation. Relationship and Description: Inherently intelligible with Commingese Gascon of France, and called 'Aranese' in France. Aranese is influenced by Catalan and Spanish more than French. Not as close to Limousin, Auvergnat, Languedocien, or Provencal; related languages of France. Usage: Over half the speakers are fluent in French, Spanish, Catalan, or Occitan. Catalan and Spanish are taught in school. About half of those in Spain also speak French because of commercial traffic both ways across the border. Nearly 100% literate in Spanish; 1,899 literate in Catalan, 1,232 literate in Aranese. Literacy in France is much lower. Bible portions 1583-1983. Work in progress. Arumanian or Macedo-Rumanian (Armina). Classification: Balkano-Romance Subgroup, South. Number of Speakers & Area of distribution: 50,000 in Greece (1973 Byrd); 60,000 in Albania (1993 Johnstone); 110,000 in all countries, or more. Northwest Salonika, and northern Greece, Pindus Mts., around Trikala. Also in Bulgaria, Yugoslavia, Bosnia-Herzegovina. Description: Structurally a distinct language from Rumanian (F. Agard). It split from the other 3 Rumanian languages between 500 and 1000 A.D. 'Armini' refers to the people. Present situation: Rapid assimilation to Greek culture; children attend Greek schools. 20% live traditionally. Bible portions 1881-1889. Survey needed. Asturian (Bable). Classification: Ibero-Romance Subgroup, North, Central. Dialects: Western Asturian, Central Asturian (Bable), Eastern Asturian. Number of Speakers & Area of distribution: 100,000 first language speakers, plus 450,000 second language speakers able to speak or understand it (1994 F. F. Botas). 50,000 in Central Asturian, 30,000 in Western Asturian, 20,000 in Eastern Asturian. 550,000 in the ethnic group. Princedom of Asturias except for the most western section where Galician is spoken, the western part of Cantabria, and northern Castilla-Leon. Relationships: As different from Spanish as Galician or Catalan; more different than Murcian and Andalusian. Close to Leonese. About 80% intelligibility with Spanish (R.A. Hall, Jr. 1989); enough to cause disruption of communicative ability (T. Erickson SIL 1992). Present situation: They use Spanish in formal situations and with outsiders. Children ages 6 to 16 are obliged to study Asturian in school; it is voluntary for those 16-19. There is literature, both popular and literary, since the 17th century; poetry, and traditional ballads and chivalric novels of oral tradition. The Academy of the Asturian Language was formed in 1981, to revive the academy of the 18th century. The Vaqueros ethnic group speaks Western Asturian. Intelligibility among the three dialects is adequate, but Western Asturian may need orthography adaptation. Central Asturian is considered the model, and has the most speakers. Bible portions 1871-1991. Work in progress. Auvergnat (Auvernhas, Auverne, Occitan). Classification: Gallo-Romance Subgroup, South, Western. Dialects: Haut-Auvergnat, Bas-Auvergnat. Area of distribution: Auvergne; Haut-Auvergnat in Cantal and south of Haute-Loire; Bas-Auvergnat in the north of Haute-Loire and in Puy-de-Dome. Present situation: Highly fragmented dialect situation, with limited intelligibility between northern and southern varieties. Language use is more vigorous in the south. Bible portions 1831. Survey needed. Calo or Iberian Romani (Calão, Gitano). Classification: Ibero-Romance Subgroup, North, Central. Dialects: Spanish Calo, Portuguese Calao (Calao, Lusitano-Romani), Catalonian Calo, Basque Calo, Brazilian Calao. Number of Speakers & Area of distribution: 5,000 in Portugal; 40,000 to 140,000 in Spain; 10,000 to 20,000 in France; 10,000 in Latin America; 65,000 to 175,000 in all countries. Reported to be 10,400 Gypsies in Portugal (1993 Johnstone). 100,000 Gypsies in France speak a variety of Romani as first or second language (1985 Gunnemark and Kenrick). Description: A Gypsy language very different from other Romani. A cryptological variety of Spanish (I. Hancock 1995). McLane found 300 to 400 words based on Romani, but no individual was acquainted with more than 100. The Iberian base for Calo is regional dialects, where the overlap is not distinct between Spanish and Portuguese. There is a movement to revive the defunct inflected Spanish Romani, and a book has been printed in it (I. Hancock 1990). Calao of Portugal is structured on Portuguese regional dialects where the overlap is not distinct between Spanish and Portuguese. Bible portions 1837-1872. Catalan or Catalonian or Catalan-Valencian-Balear (Catalá, Bacaves). Classification: Gallo-Romance Subgroup, South, Western. Dialects: Catalan-Rousillonese (Northern Catalan), Valencian (Valenciano, Valencia), Balearic (Balear, Insular Catalan, Mallorqui, Menorqui, Eivissenc), Central Catalan, Algherese in Italy, Northwestern Catalan (Pallarese, Ribagorcan, Lleidata, Aiguavivan). Number of Speakers & Area of distribution: 4,000,000 mother tongue speakers plus 5,000,000 second or third language speakers in Spain (1994 La Generalitat de Catalunya); 260,000 in France; 31,000 in Andorra (1990); 40,000 in USA (1961); 22,000 in Italy in Alghero, northwest coast on Sardinia; 4,353,000 or more in all countries. 6,000,000 in the ethnic group in Spain (1994). Northeastern Spain, around Barcelona; Catalonia, Valencia Provinces, Balearic Islands, region of Carche, Murcia Province. Menorquin is on Menorca. Pallarese, a subdialect of Northwestern Catalan, is in Pallars. Ribagorcan, another subdialect extends from the Valley of Aran to the south of Tamarit, and from the Noguera Ribagorcana to the border with Aragonese. Speakers of the language also in Argentina, Mexico, Chile, Brazil, Uruguay, Venezuela, Colombia, Cuba, Dominican Republic, Germany, Switzerland, Belgium, Algeria. Description: The standard dialect is a literary composite which no one speaks, based on several dialects. Present situation: The high literacy in Catalan (60%) is recent. Pallarese and Ribogorcan dialects are less similar to standard Catalan, speakers have less education, less contact with the standard, and live in high valleys of the Pyrenees. Benasquese and Aiguavivan people live in isolated valleys and have a distinct phonology from their neighbors. Tortosin may be closer to Valencian. Relationships: Catalan has 87% lexical similarity with Italian, 85% with Portuguese and Spanish, 76% with Rhaeto-Romansh, 75% with Sardinian, 73% with Rumanian. Catalan has about 90% to 95% inherent intelligibility to speakers of Valencian (R.A. Hall, Jr., 1989). Some Valencian speakers desire separate literatue. Catalan is an official regional language. Literacy in some language 96%. Speakers use Spanish, French, Italian, Sard, or Occitan as second languages. Dictionary. Christian, secular. Bible 1478-1993. NT 1832-1988. Bible portions 1928-1985. Corsican (Corso, Corsu, Corse, Corsi). Classification: Italo-Romance Subgroup, Southern, Corsican. Corsican is in the Tuscan group of Italian dialects. Dialects: Sartenais, Vico-Ajaccio, Northern Corsican (Cape Cors, Bastia), Venaco. Number of Speakers & Area of distribution: 281,000 in Corsica (1993 Johnstone); 60,000 in Western Hemisphere (1968 H. Kloss); 341,000 or more in all countries. Corsica, Paris, Marseilles. Also in Canada, Puerto Rico, USA, Venezuela, Cuba, Bolivia, Uruguay, Italy. Relationships: Southern Corsican is closer to Gallurese Sardinian than to other Corsican dialects (R.A. Hall, Jr.). Dialects of Bastia, Venaco, Vico, and Sartene have 79% to 89% lexical similarity. Bonifacio on the southern tip of Island has 78% lexical similarity (highest) with Bastia at extreme north. Present situation: Ajaccio dialect is central and prestigious. Corsican has been recognized as a separate language by the French government. Speakers are bilingual in French but many are not fluent in it. There is a movement for bilingual education. Bible portions 1861-1994. Work in progress.Bible portions 1861. Work in progress. Emilian-Romagnol (Emiliano-Romagnolo, Emiliano, Sammarinese). Classification: Italo-Romance Subgroup. A structurally separate language from Italian (F.B. Agard). Dialects: Western Emiliano, Eastern Emiliano, Mantovano, Vogherese-Pavese, Lunigiano, Romagnolo, Marchigiano, Settentrionale. Number of Speakers & Area of distribution: Northwest Italy, 20,112 in San Marino (1993 Johnstone). Survey needed. Extremaduran (Extremeño, Ehtremeñu, Cahtuo). Classification: Ibero-Romance Subgroup, North, Central. Dialects: Northern Extremaduran (Artu Ehtremenu), Central Extremaduran (Meyu Ehtremenu), Southern Extremaduran (Bahu Ehtremenu). Number of Speakers & Area of distribution: 200,000 active speakers, plus 500,000 able to use it, including some monolinguals (1994 T. Erickson). Most speakers are in the northern dialect. Most are over 30 years old. 1,100,000 in the ethnic group. Autonomous region of Extremadura (except the Fala-speaking valley in the northwest, Portuguese dialect-speaking strips in the west, and Spanish-speaking strip in the east), and a few neighboring areas. Relationships: Related to the eastern dialect of Tur-Leonese. Description: 2 orthographies, one Castilian-like, developed around the turn of the century by the famous poet Jose Maria Gabriel y Galan, the other more recent and more phonetic. Dialects are inherently intelligible to each others' speakers. They use Extremaduran in all contexts. Those who have gone to school speak Spanish in formal situations and to outsiders. 90% literate. Typology: Subject-Verb-Object. Fala or Galaico-Extremaduran (A Fala De Xalima, "Chapurreau"). Classification: Ibero-Romance Subgroup, North, Western. Dialects: Valvideiru, Manegu, Lagarteiru. Number of Speakers & Area of distribution: 10,500 including 5,500 active speakers in the language area; 5,000 outside, many of whom return each summer (1994 T. Erickson). Northwest Spain, Galicia Province, northwest corner of the autonomous region of Extremadura, isolated valley on the Portuguese border called Val de Xalima or Val du riu Ellas, towns of Valverdi du Fresnu, As Ellas and Sa Martin de Trebellu. Relationships: Dialects are inherently intelligible with each others' speakers. Not easily intelligible with the surrounding language varieties. Intelligible with Galician, but the speakers do not identify with the Galicians, and do not want their orthography to be like Galician. Present situation: Language vitality is high. Spoken by all ages in all contexts except school, church, and contacts with outsiders, where they speak Spanish. Nearly 100% literate. Franco-Provençal. Classification: Gallo-Romance Subgroup, North. Structurally separate language from Provençal, French, Piedmontese, and Lombard (F. B. Agard). Dialects: Dauphinois, Lyonnais, Neucatelais, Savoyard, Valaisien, Vaudois, Faeto, Celle San Vito. Number of Speakers & Area of distribution: 70,000 in Italy (1971 census), including 700 Faetar speakers (1995 Naomi Nagy). Northwest Italy, Aosta Valley. A small speech community also in southern Italy in Faeto and Celle S. Vito in the Province of Foggia in Apulia. Vaudois also in southeast France. Covers a huge area. Bible portions 1830. Survey needed. French (Français). Classification: Gallo-Romance Subgroup, North. Dialects: Standard French, Norman, Picard (Rouchi, Chtimi), Walloon, Angevin, Berrichon, Bourbonnais, Bourguignon, Franc-Comtois, Gallot, Lorraine, Poitevin, Santongeais. Number of Speakers & Area of distribution: 51,000,000 first language speakers in France; 6,000,000 in Canada (1988); 1,100,000 in USA (1989); 40,000 in Israel; 72,000,000 in all countries, mother tongue (1995 WA); 124,000,000 in all countries including second language speakers (1995 WA). Also in Belgium, Switzerland, Italy, Haiti, French Guiana, Monaco, Austria, Africa, Southwest Asia, French Polynesia, other former colonies. Relationships: 89% lexical similarity with Italian, 80% with Sardinian, 78% with Rhaeto-Romansh, 75% with Portuguese, Rumanian, and Spanish. Present status: National language. Typology: Subject-Verb-Object. Christian. Braille Bible. Braille Scripture in progress. Bible 1530-1995. NT 1474-1990. Bible portions 1483-1989. Friulian or Frioulian or Priulian (Furlan, Frioulan, Friulano). Classification: Italo-Romance Subgroup. Friulian, Ladin, and Romansch are separate languages (R. A. Hall, Jr. 1978, personal communication). Dialects: East Central Fruilian, Western Friulian, Carnico. Number of Speakers & Area of distribution: 600,000 in Italy (1976 Stephens); a few in Slovenia. Northeast and adjacent areas, northern Friuli-Venezia-Giulia on the borders of the Austrian province of Corinthia and the Yugoslav Republic of Slovenia. Relationships: F. B. Agard considers it to be structurally closer to Italian than to Romansch (personal communication 1981). Present situation: Most speakers know standard Italian. Some are cultivating Friulian as a literary language. Regional pride. In the area of Gorizia all the Slovenes speak it as a second or third language. Germans in the area also speak it. NT 1972. Bible portions 1860. Galician (Galego, Gallego). Classification: Ibero-Romance Subgroup, North, Western. Galician is intermediate between Portuguese and Spanish, but closer to Portuguese. Treated officialy as a separate language in Spain, it is now often considered a dialect of Portuguese. Dialects: there are many dialects. Number of Speakers & Area of distribution: 3,173,400 in Northwest Spain, Galicia Province., 8.2% of the population (1986); 15,000 in Entre-Minho-e-Douro and Tras Os Montes (Trazoz-Montes) in Northern Portugal (1994 D. and N. Burns); 4,000,000 in all countries (1995 WA). Relationship: Portuguese has about 85% intelligibility to speakers of Galician (R.A. Hall, Jr., 1989). Present situation: There is an Academy of the Galician Language. There exists tension between those in Tras Os Montes Portugal and Spain over orthography, dialect differences, and identity. Galician has had many decades of development as a language of serious literature, including poetry, essays on novel, ideological, philosophical, and sociological topics, and for all levels of education, including higher education. A growing sense of ethnic identity and of the Galician language. Official regional language. Bible 1989-1992. NT 1974-1980. Bible portions 1861-1967. Gascon (Occitan). Classification: Gallo-Romance Subgroup, South, Eastern. Gascon, Occitan (Languedocien), and Limousin are structurally separate languages (F.B. Agard). Dialects: Landais, Bearnais (Biarnese), Ariegeois, Aranese. Number of Speakers & Area of distribution: 250,000 in all countries speakers (1990 P. Blanchet); including 4,800 Aranese in Spain (1984 census). Present situation: The population in the Bearn region of southern Gasconha, France, is 400,000 (1992). 51% speak the language, 70% understand it, 85% are in favor of doing something to save it. Gascogne Province, from Medoc to the Pyrenees, from the Atlantic to the Catalan area. Biarnese is spoken by a strong majority in the Biarn. Relationships: Some intelligibility of Provençal; Gascon has some or limited intelligibility of Languedocien (reports differ). Inherently intelligible with Aranese in Spain, which is a dialect. Istro-Rumanian. Classification: Balkano-Romance Subgroup. Area of distribution: Istrian peninsula, Croatia. Description: Structurally a distinct language from Rumanian, Arumanian and Megleno-Rumanian (F. Agard). The 4 Rumanian languages split between 500 and 1000 A.D. Survey needed. Italian (Italiano). Classification: Italo-Romance Subgroup. Dialects: Tuscan, Abruzzese, Pugliese, Umbrian, Laziale, Central Marchigiano, Cicolano-Reatino-Aquilano, Molisano. Number of Speakers & Area of distribution: 30,000,000 in Italy excluding distinct 'dialects'; 906,000 in USA (1989); 1,500,000 in Argentina; 1,000,000 in France; 195,000 in Switzerland (1990); 548,000 in Germany; 200,000 in United Kingdom; 79,000 in Uruguay; 21,000 in San Marino (1979 WA); 300,000 in Croatia; 3,000 in Slovenia (1976); 280,000 in Belgium; 500,000 in Brazil; 538,360 in Canada (1971 census); 500,000 in Australia; 5,435 in Israel (1961); 26,000 in Paraguay; 1,556 in Puerto Rico (1970); 800 in Liechtenstein; 20,800 in Luxembourg; 28,000 in Uruguay; 40,000,000 in all countries excluding distinct 'dialects' (1983 estimate); 63,000,000 including second language users (1995 WA). Also in Egypt, Eritrea, Libya, Monaco, Saudi Arabia, Somalia, Tunisia. Relationships: Regional varieties coexist with the standard language; some are inherently unintelligible (Nida). Aquilano, Molisano, and Pugliese are very different from the other Italian 'dialects'. Piemontese and Sicilian are distinct enough to be separate languages (F.B. Agard 1981, personal communication). Venetian and Lombard are also very different (Philippe Cousson 1981, personal communication). Neapolitan is reported to be unintelligible with Standard Italian. Northern varieties are closer to French and Occitan than to standard or southern varieties (Agard, N. Vincent). Usage: Most Italians use varieties along a continuum from standard to regional to local according to what is appropriate. Possibly nearly half the population do not use the standard as mother tongue. Description: 89% lexical similarity with French, 87% with Catalan, 85% with Sardinian, 82% with Spanish, 78% with Rheto-Romance, 77% with Rumanian. National language. Typology: Subject-Verb-Object. Braille NT. Bible 1471-1985. NT 1530-1981. Bible portions 1531-1984. Judaeo-Italian (Italkian). Classification: Italo-Romance Subgroup. Number of Speakers & Area of distribution: A tiny number who speak it fluently. Perhaps 4,000 occasionally use elements of it in their speech (1/10th of Italy's 40,000 Jews). Present situation: More commonly spoken two generations ago. Used in Passover song. Jewish. Nearly extinct. Ladin (Dolomite, Ladino). Classification: Rhaeto-Romance Subgroup. Friulian, Ladin, and Romansch are separate languages (R. A. Hall, Jr. 1978, personal communication). Distinct from Ladino (Dzhudezmo, Judeo-Spanish). Dialects: Atesino, Cadorino, Nones (Nones Blot, Nonesh, Parlata Trentina), Gardena (Gardenese, Grudno), Fassano, Badiotto, Marebbano, Livinallese, Ampezzano. Number of Speakers & Area of distribution: 30,000 to 35,000 in Italy (1976 Stephens). Southern Tyrol in the Alto Adige and the Dolomites, principally in Badia Valley in the autonomous province of Bolzano, also in the provinces of Trento and Belluno, in the parishes of Valle Moena, Cortina d'Ampezzo, Pieve-di-Livinallongo and Colle-Santa-Lucia, Cles, Val di Non. Nones also in USA: Solvay (NY? ), Hazleton (PA? ), Rocksprings (TX?). Present situation: Most people know Standard Italian, but have pride in their language. The dialect of Val di Fassa is taught in schools. Survey needed. Written since 1700. Ladino (Sephardic, Judaeo-Spanish, Judesmo, Dzhudezmo). Classification: Ibero-Romance Subgroup. A variety of Castilian (Spanish) language spoken by the Jews who were expelled out of Spain in 1492. Number of Speakers & Area of distribution: 11,000 in Israel, 20,000 in Turkey, few thousand in Bulgaria and Greece, also in New York City and Buenos Aires, about 200,000 in all countries. Present situation: Most people are of old age and the language becomes nearly extinct. Used in the Sephardic rites. Translation of the Bible (since the Middle Ages) and of the New Testament (1922, Istanbul). Written in Jewish characters. Languedocien (Lengadoucian, Languedoc, Langadoc, Occitan, Occitani). Classification: Gallo-Romance Subgroup, South, Eastern. Dialects: Bas-Languedocien, Languedocien Moyen, Haut-Languedocien, Guyennais. Number of Speakers & Area of distribution: Fluent speakers are 10% of the population in the region. About 20% more have some knowledge of it. Languedoc Province, from Montpellier to Toulouse, Bordeaux, Rodez, and Albi. Description:A separate language from Provencal (P. Blanchet 1990). Gascon has limited intelligibility of Languedocien. Present situation: Attempts to standardize Languedocien for all languages of southern France have not been accepted by speakers of those languages. Toulousse orthography is different from Ron. Mainly spoken in rural communities by people over 50. Everyone speaks French as first or second language. Bible portions 1888. Survey needed. Ligurian (Ligure). Classification: Gallo-Romance Subgroup, Ligurian. Dialect: Genoese (Genoan, Genovese). Number of Speakers & Area of distribution: 1,853,578 (1976). Liguria, northern Italy; St. Pietro and St. Antioch, islands off southwest coast of Sardinia, cities of Carloforte and Calasetta in Sardinia. Also in Monaco and Corsica, France. Description:Very different from Standard Italian. Speakers may all be adequately bilingual in Standard Italian. Bible portions 1860. Survey needed. Limousin (Lemosin, Occitan). Classification: Gallo-Romance Subgroup, South, Eastern. Limousin, Occitan, and Gascon are structurally separate languages (F.B. Agard). Dialects: Haut-Limousin, Bas-Limousin. Number of Speakers & Area of distribution: Spoken by 10% to 20% of the population of the region. Limousin Province. Haut-Limousin around Limoges, Gueret, and Nontron in Charente; Bas-Limousin around Correze and Perigord. Description: Partially intelligible to Provencal. People speak French as first or second language. In the north of the province people use a transition dialect with certain Oil features. Survey needed. Lombard (Lombardo). Classification: Gallo-Romance Subgroup, Lombard. Dialects: Milanese, Eastern Lombard, Western Lombard (Piazza Armerina, Novara, Nicosia, San Fratello), Alpine Lombard, Novarese Lombard, Trentino Western, Latin Fiamazzo, Latin Anaunico, Bergamasco, Ticinese (Ticino). Number of Speakers & Area of distribution: 8,671,210 in Italy (1976); 303,000 in Switzerland (1995); 8,974,000 in all countries. Milan, Lombardy, northern Italy. Western Lombard varieties also in Sicily. Ticino is in Switzerland. Description: A group of dialects, some of which may be separate languages. Very different from Standard Italian. Speakers may all be adequately bilingual in Standard Italian. Bible portions 1859-1860. Survey needed. Megleno-Rumanian or Meglenitic (Meglenite). Classification: Balkano-Romance Subgroup, South. Number of Speakers & Area of distribution: 12,000 (1995). Meglen region, north of Salonika. Description: Structurally a distinct language from Rumanian, Arumanian and Istro-Rumanian (F. Agard). The 4 Rumanian languages split between 500 and 1000 A.D. Survey needed. Mirandês (Mirandesa). Classification: Ibero-Romance Subgroup, North, Central. Number of Speakers & Area of distribution: 10,000 (1995 SIL). Northeast Portugal, southeastern tip of Tras Os Montes area, on the Spain border, at the latitude of Zamora, city of Miranda. Description: Related to Asturian and Leones. Probably separated from them at the time of the invasion of the Moors. Present situation: A folklore group is promoting the language and culture. There is a museum, and a language and culture library. The language has been introduced into the schools, and literary production is being promoted. The people have a different style of dress from their neighbors (black, handwoven). Agricultural. Survey needed. Mozarabic (Mozárabe). Classification: Ibero-Romance Subgroup, South. Description: A Romance language with Arabic influences. Used by Christians during the Moorish occupation of Spain in the Middle Ages. Extinct. Present situation: It is still used liturgically in a few places. Regular broadcasts from Radio Israel. Neapolitan-Calabrese (Napolitano-Calabrese). Classification: Italo-Romance Subgroup. Dialects: Neapolitan (Napolitano, Tirrenic), Southern Calabrese (Calabrian), Northern Calabrese-Lucano. Number of Speakers & Area of distribution: 7,047,399 (1976). Campania and Calabria provinces, southern Italy. Indo-European, Italic, Romance, Italo-Western. Description: Not inherently intelligible with Standard Italian. Present situation: Many speakers do not know Standard Italian. Vigorous language use. A large literature. Neapolitan and Calabrese are reported to be very different from each other. Bible portions 1861-1862. Work in progress. Occitan (Provençal, Prouvençau, Occitan). Classification: Gallo-Romance Subgroup, South, Eastern. Gascon, Occitan, and Limousin are structurally separate languages (F. Agard). Provençal and Languedocien (Occitan) are separate languages (P. Blanchet 1990). Dialects: Transalpin, Nicard (Nicois), Maritime Provençal (Marseillais, Toulonnais, Varois), Gavot (Alpin, Valeien, Gapian, Forcalquieren), Rhodanien (Nimois), Dauphinois (Dromois). Number of Speakers & Area of distribution: 250,000 fluent speakers in France; 800,000 with some knowledge (1990 P. Blanchet); 100,000 speakers of all ages of Transalpin dialect in Italy (1990) – in the upper valleys of Piedmont (Val Mairo, Val Varacho, Val d'Esturo, Entraigas, Limoun, Vinai, Pignerol, Sestriero) and in Guardia Piemonese in Calabria; 4,500 in Monaco (1988); 354,500 in all countries. Southeastern France, province of Provence, south of Dauphine, region of Nimes in Languedoc. Present situation: No variety is universally accepted as the standard literary form. Two orthographies in use: Ron and Toulousse. Nicard and Northern Gavot (Valeien and Gapian) are more difficult for other dialect speakers to understand. Through increased contact in army and school, most speakers are actively bilingual in French. Most speakers are above 50 years old. Literary French is sometimes difficult for speakers with less school education. Regional French has a lot of Provençal influence. In Italy people also speak Piemontese and Italian. There is regional pride and increasing status as a literary language. Strong demand for teaching in school and books in Provençal. Bible portions 1824-1975. Work in progress. Piedmontese (Piemontese). Classification: Gallo-Romance Subgroup, Piemontese. Dialects: High Piemontese, Low Piemontese. Number of Speakers & Area of distribution: 3,000,000 (1976). Northwest Italy, Piedmont. Description: Distinct enough from Standard Italian to be considered a separate language. Considerable French influence. Speakers may all be adequately bilingual in Standard Italian. NT 1835. Bible portions 1834-1861. Portuguese (Português). Classification: Ibero-Romance Subgroup, North, Western. Dialects: Beira, Galician, Madeira-Azores, Estremenho, Brazilian Portuguese. Number of Speakers & Area of distribution: 10,000,000 in Portugal; 2,100 in Andorra (1993); 80,000 in Belgium; 163,000,000 in Brazil; 86,925 in Canada (1971 census); 600 in Congo (1993); 750,000 in France; 78,000 in Germany; 250,000 in Goa (India); 5,000 in Jamaica; 50,000 in Luxembourg; 2,000 in Macau; 9,000 in Malawi (1993); 30,000 in Mozambique; 636,000 in Paraguay; 617,000 in South Africa; 86,000 in Switzerland; 28,000 in Uruguay; 365,000 in USA (1970 census); 170,000,000 in all countries, first language speakers (1995 WA); 182,000,000 with second language speakers. Iberia, Azores, Madeira. Also in Angola, Antigua, Cape Verde, Guinea Bissau, Guyana, Timor (Indonesia), Sao Tome, Spain, St. Vincent and the Grenadines, Surinam, United Kingdom. Description: Standard Portuguese of Portugal is based on Southern or Estremenho dialect (Lisbon and Coimbra). National language. Typology: Subject-Verb-Object. Christian. Braille Bible portions. Bible 1751, in press (1993). NT 1681-1982. Bible portions 1505-1951. Rumanian or Romanian or Daco-Rumanian (Român). Classification: Balkano-Romance Subgroup, North. Number of Speakers & Area of distribution: 20,520,000 in Rumania, 90% of the population (1986); 2,664,000 in Moldova (1979 census); 33,000 in Kazakhstan; 1,375 in Kyrghyzstan; 178,000 in Russia; 580 in Tajikistan; 1,561 in Turkmenistan; 250,000 to 750,000 in Ukraine (1995); 3,152 in Uzbekistan; 200,000 to 300,000 in Yugoslavia; 100,000 in Hungary (1995); 56,590 in USA (1970 census); 11,300 in Canada (1971 census); 250,000 in Israel (1993); 1,397 in Azerbaijan; 1,000 in Finland; 26,000,000 in all countries (1995 WA). Dialects: Moldavian, Muntenian (Wallachian), Transylvanian, Banat, Bayash. Moldavian is in Moldova to the northeast, and Muntenian in Muntenia, or Wallachia in the southeast, other dialects in the north and west, including much of Transylvania. Also in Australia. The Bayash are Gypsies who have lost their language and now speak Rumanian based on the Banat dialect with Romani and Hungarian influences. Description: Rumanian has 77% lexical similarity with Italian, 75% with French, 74% with Sardinian, 73% with Catalan, 72% with Portuguese and Rheto-Romance, 71% with Spanish. National language. Typology: Subject-Verb-Object. Christian. Braille Bible portions. Braille Scripture in progress. Bible 1688-1989. NT 1648-1993. Bible portions 1561-1993. Sardinian (Central) or Logudorian (Logudorese, Sard, Sardarese). Classification: Italo-Romance Subgroup, Southern, Sardinian. Dialects: Nuorese, Northern Logudorese, Barbaricino, Southwestern Logudorese. Number of Speakers & Area of distribution: 1,500,000 including all Sardinian languages (1977 M. Ibba, Rutgers University). Central Sardinia. Present situation: No one form of Sardinian is selected as standard for literary purposes. Italian is used for literary and teaching purposes. Sardinian is in general use in central and southern areas. It has prestige equal to Italian in some contexts including writing. Farmers and housewives over 35 use almost no Italian. Relationships: Logudorese is quite distinct from other Sardinian varieties; it has 68% lexical similarity with Standard Italian, 73% with Sassarese and Cagliarese, 70% with Gallurese. 'Sardinian' has 85% lexical similarity with Italian, 80% with French, 78% with Portuguese, 76% with Spanish, 74% with Rumanian and Rhaeto-Romansh. There is a growing movement to recognize Sard as an important part of their linguistic and cultural heritage. Christian. Bible portions 1858-1861. Survey needed. Sardinian (Northeastern) or Gallurian (Gallurese). Classification: Italo-Romance Subgroup, Southern, Sardinian. Area of distribution: Gallurese is in northeastern Sardinia. Present situation: They call Campidanese and Logudorese 'Sard', and the people 'Sards', but do not include themselves or their language in those terms. A growing movement to recognize Sard as an important part of their cultural and linguistic heritage. Description: Influenced by Corsican and Tuscan (Standard Italian). 83% lexical similarity with Standard Italian; 81% with Sassarese; 70% with Logudorese, 66% with Cagliare. Bible portions 1861-1862. Survey needed. Sardinian (Northwestern) or Sassarian (Sassarese). Classification: Italo-Romance Subgroup, Southern, Sardinian. Area of distribution: Northwestern Sardinia. Description: Influenced by Ligurian and Pisan (Pisa; northwest coast of Italy). 81% lexical similarity with Gallurese, 76% with Standard Italian. They call Campidanese and Logudorese 'Sard', and the people 'Sards', but do not include themselves or their language in those terms. There is a growing movement to recognize Sard as an important part of their cultural and linguistic heritage. Bible portions 1863-1866. Survey needed. Sardinian (South) or Campidanian (Sardu, Campidanese, Campidese). 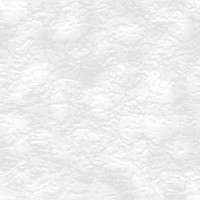 Classification: Italo-Romance Soubgroup, Southern, Sardinian. Dialects: Cagliare (Cagliari, Cagliaritan), Arborense, Sub-Barbaricino, Western Campidenese, Central Campidanese, Ogliastrino, Sulcitano, Meridionale, Sarrabense. Area of distribution: It is in general use in the south. Cagliaritan is the dialect of Cagliari, the capital of Sardinia. Relationships: Heavily influenced by Catalan and Italian. Cagliare has 62% lexical similarity with Standard Italian, 73% with Logudorese. Campidanese is quite distinct from the other Sardinian languages. A movement is growing to recognize Sard as an important part of their linguistic and cultural heritage. Bible portions 1860-1900. Survey needed. Shuadit or Judeo-Provençal (Judeo-Comtadine). Classification: Gallo-Romance Subgroup, North, Eastern. Area of distribution: Department of Vaucluse in southern France, and city of Avignon. Description: It became extinct in 1977. May still be used in Passover song. Sicilian (Siciliano). Classification: Italo-Romance Subgroup. Dialects: Western Sicilian (Palermo, Trapani, Central-Western Agrigentino), Central Metafonetica, Southeast Metafonetica, Eastern Nonmetafonetica, Messinese, Isole Eolie, Pantesco. Number of Speakers & Area of distribution: 4,680,715 (1976) in Sicily, an island off the southern mainland. Description: Distinct enough from Standard Italian to be considered a separate language. Vigorous language use. Considerable French influence. Speakers may all be bilingual in Standard Italian. Bible portions 1860. Survey needed. Spanish or Castilian (Español, Castellano). Classification: Ibero-Romance Subgroup, North, Central. Dialects: Andalusian, Murcian, Aragonese, Navarrese, Castilian, Leonese, Canary Islands Spanish, American Spanish. Number of Speakers & Area of distribution: 28,173,600 in Spain, 72.8% of the population (1986); 81,174,760 in Mexico and Central America; 18,154,926 in the Caribbean; 89,569,500 in South America; 22,400,000 in USA (1990 census); 50,000 to 60,000 in Israel; 134,000 in Germany; 23,815 in Canada (1971 census); 6,500 in Norway; 8,000 in Jamaica; 4,444 in U.S. Virgin Islands (1970); 500,000 in Philippines (nearly all second language); 100,000 in Africa; 266,000,000 in all countries first language speakers (1987 Time); 352,000,000 including second language users (1991 WA). Central and southern Spain and the Canary Islands. Also in Latin America, Equatorial Guinea, Gibraltar, France, Morocco, Trinidad and Tobago, Australia. Description: 89% lexical similarity with Portuguese, 85% with Catalan, 82% with Italian, 76% with Sardinian, 75% with French, 74% with Rheto-Romance, 71% with Rumanian. The Aragonese dialect of Spanish is different from the Aragonese language. Leonese may have limited inherent intelligibility with Spanish, and may be extinct. Leonese has similarities to Asturian. National language. Typology: Subject-Verb-Object. Christian. Braille Bible. Bible 1553-1979. NT 1543-1994. Bible portions 1514-1985. Venetan (Vèneto). Classification: Italo-Romance Subgroup. Dialects: Istrian, Tretine, Venetian proper (Veneziano). Number of Speakers & Area of distribution: 2,109,502 in Northern Italy (1976); 100,000 in Croatia and Slovenia (1994 Tapani Salminen). Venetia, Italy. Description: Very different from Standard Italian. Vigorous language use. Speakers may all be bilingual in Standard Italian. Bible portions 1859. Survey needed. Zarphatic or Judaeo-French. Classification: Gallo-Romance Subgroup, North. Description: Jewish. Extinct.